Are We Really Ready To Accept Radical Goals? Karl Marx (1818-1883), Vladimir Lenin (1870-1924), Joseph Stalin (1878-1953) and others like Saul Alinsky (1909-1972) were radical writers, activists, socialists or communists. It’s truly quite amazing to see the influence that their radical ideas spanning more than 100-years have had upon our nation’s politicians, some of whom today are among the leaders of our country. To show you how radical Alinsky’s book “Rules for Radicals” is let’s look to determine to whom he dedicated the book. Hillary Clinton chose Alinsky’s work as the topic for her Wellesley College thesis in 1969 entitled, “There is Only the Fight: An Analysis of the Alinsky Model” after having twice interviewed him. In her thesis, Hillary, according to The Boston Globe wrote, “Much of what Alinsky professes does not sound ‘radical.’… His are the words used in our schools and churches, by our parents and their friends, by our peers. The difference is Alinsky really believes in them and recognizes the necessity of changing the present structures of our lives in order to realize them.” Barack Obama, who worked as a community organizer in the mid-80s referenced Alinsky in his books just a few years ago. Today we can see where people like Marx, Lenin, Stalin and Alinsky and some of their beliefs like those espoused in the Communist Manifesto and Alinsky’s Rules for Radicals have spread and how their influence has played out in the careers of Hillary and Obama. As politicians they’re applying many of the rules and working to achieve many of the goals of those four men. Here are just 8-goals from Communism in America, a list of 45-goals that Obama and Hillary are continuing to try and achieve in America. You can read the entire list here: http://www.rense.com/general32/americ.htm. You may determine for yourself if this is what’s happening and succeeding in America today. #1: Healthcare – Control healthcare, particularly mental health and you control the people. #2: Poverty – Support any socialist movement to give centralized control over any part of the culture–education, social agencies, welfare programs, mental health clinics, etc. #3: Debt – Discredit the American Constitution by calling it inadequate, old-fashioned, out of step with modern needs, a hindrance to cooperation between nations on a worldwide basis. #4: Gun Control – Discredit the family as an institution. Encourage promiscuity and easy divorce. #7: Religion – Remove the belief in God from government and schools. #8: Class Warfare – Divide the people into the wealthy and the poor. This will cause more discontent and it will be easier to tax the wealthy with the support of the poor. Pay attention to what Hillary has said about continuing Obama’s policies – meaning she’ll finish up the few aspects of some goals not yet achieved and work to complete the plan. In every nation where this has been tried, the ultimate result has been the destruction of those nations. 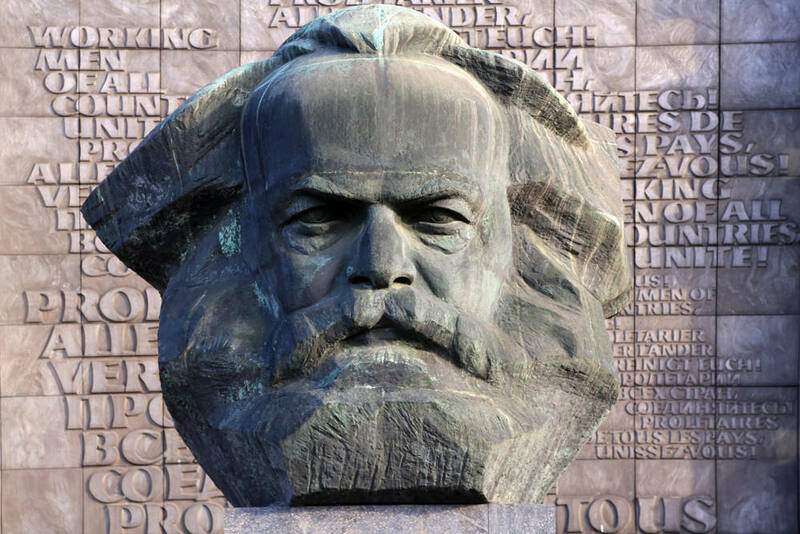 As Voltaire stated in the 18th Century, “It is difficult to free fools from the chains they revere.” Is America ready to allow the ideas and goals of Marx, Lenin, Stalin and Alinsky, and the plans of Obama and perhaps Hillary to be completed? Your vote in November will answer that question. I'm the author of 2-books and dozens of magazine articles. I write for 2-newspapers in western North Carolina. I produce a political news-email letter 3 times per week that features news that I've researched that is rarely reported in the mainstream media. This free email goes to a subscriber list, and ultimately is read by thousands nationwide. I am a NC certified concealed handgun carry instructor and teach the attendees to my classes about handguns & gun safety, personal in-home protection and the NC laws which upon completion allows them apply for their NC concealed carry permits. I am also a graduate of the Henderson County Sheriff's Citizens Academy and a certified A.L.I.C.E. instructor teaching active shooter response training. As an active member of my community I serve on 3-Boards of Directors and am a volunteer for several non-profits and in local, state and national politics. I've served on the election and reelection committees of NC State Senators, US Representative Mark Meadows, and in support of our County Sheriff. Having served my nation as a member of the Army Infantry during the Vietnam era (1967-69), I remain a staunch and proud American who strongly believes in the U.S. Constitution. I maintain that it is the role of government to serve we the people, and not the other way around as it has been evolving for decades. We must take back our nation and put the States back into power while eliminating the overreaching activities and power of the existing federal government. More Hypocrites in RNC than DNCIs Russia Undermining the Unity of NATO?